. :: Dredg is one of those rare bands who truly cannot be categorized. Gavin Hayes' vocals cascade like a waterfall over a sea of scratching Latin rhythms, dulcimers, guitars in odd time signatures, and prog rock-inspired drums. Hayes shares his penchant for Bulgarian chants in "Triangle" and "Same Ol' Road." "Whoa Is Me" could provide the soundtrack to all things haunted. Whether it's a piano and strings or Cure-influenced (specifically the Cure's "Fascination Street") guitars, instruments fill the time between songs on El Cielo. They offer a respite from the monotony and the slow-fast-slow style of songwriting. In an odd moment at the end of "Whoa Is Me," a soft-spoken public radio DJ speaks of a jazz number from 1944. The full-throttle rocker "It Only Took a Day" is one of the highlights. 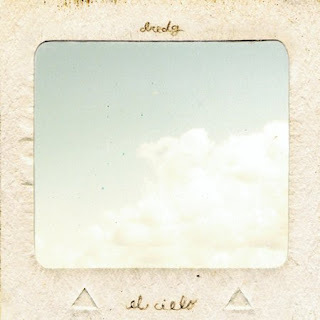 El Cielo is unlikely to become a hit on commercial radio, but perhaps Dredg could find their niche on college stations.
.:: This CD contains 25 songs and more than 1 hour and 14 minutes of music by one of the most influential bands out of Spain. With their dark heavy aggressive d-beat, crust style they are like no one else. You have to listen to understand why.
.:: Sombras del Progreso es un CD que contiene 3 de sus mejores trabajos. 25 canciones que nos llevan a través de diferentes momentos de la banda, que hacen de este un CD muy completo con alrededor de una hora y quince minutos de duración. Musicalmente podríamos decir para aquellos que no han escuchado a la banda, que es una combinación entre From Ashes Rise con Tragedy con sonidos, matices y personalidad propia, la música va desde un scremo violento harcorero hasta un crust melódico oscuro con arreglos de guitarra interesantes, y voces desesperadas y desgarradoras. 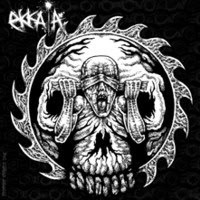 Escuchando este CD uno puede darse cuenta del por que Ekkaia en estos momentos ha llegado a tener en tan poco tiempo el status de una banda lejendaría, que solo logran bandas con una o varias decadas de trayectoría, y también del por que es en estos momentos, una de las bandas que han tenido una gran influencia en el crust, d-beat, y screamo de la actualidad. The mighty Grails have returned with their fourth and frothiest album, 'Burning Off Impurities.' Beyond epic and absurdly brilliant, this is the album they've been hinting at from day one. All killer, no filler. Following soon after the critically praised Black Tar Prophecies collection on Important Records, Portland, Oregon's Grails return with their first proper studio album since 2004 release of Redlight. Burning Off Impurities - their debut for Temporary Residence Ltd. - makes good on the promise of those past releases in delivering an album that not only thrusts the group to new heights, but also significantly pushes the instrumental rock genre forward for the first time in nearly a decade. An increased interest in psychedelic, ambient and world musics is most likely to blame for Grails' exploration of the lesser-traveled paths of modern music. Influenced in equal parts by Ash Ra Tempel, Erkin Koray, Popol Vuh, Black Sabbath, Led Zeppelin, and dozens others, this is very likely the closest Grails will ever get to making a classic rock record; the kind of sprawling masterpiece that you savor for years before passing it on to your younger brother so he can repeat the process. hey guys, i'm back !!! after some months, lots of changes on my life: quitting my job, starting my own business with some old good friends, and so long... indieground is back !!! i'm finally back, ready to keep blogging and share music that personally find interesting. thanx for your kind emails and supportive messages. now it's my turn to be nice, so i'll start re-posting the albums that you guys asked me to (i hope it is not to late). thanx again and feel free to shoot me an email, i always try to reply as soon as possible. Elemental, seasonally themed heaviness from Chicago instrumental gods. 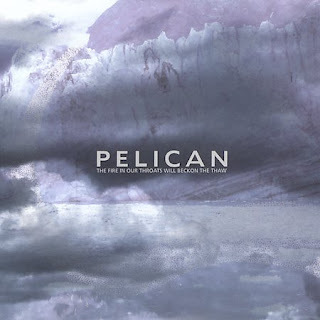 With their newest epic, Pelican bring on new levels of complexities to their already distinctive auditory stamp. Acoustic guitars take their place beside the group's traditional (read: highly amplified) power-droning and awe-inspiring instrumental anthems. Whether this signals the end of the underground musical landscape as we know it, or the beginning of a new one is anyone's guess. Luckily, it rules either way. They've toured with Low, Tortoise, Isis, Mono, Cave In, Daughters, The Bronx, A.R.E., Weapons, US Maple, and more.